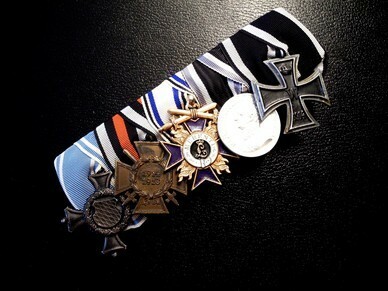 You are interested in a custom made medal bar? 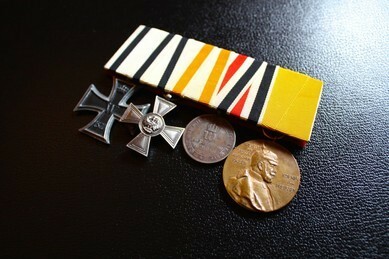 In the recreation of a original medal bar? No problem! 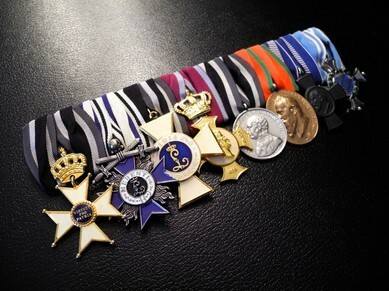 We do not just want your dreams to become true but also to stand by your side while creating your medal bar. Because oft hat we offer you to advise you in the creation process. We are looking forward to help you with the order of awards, likelihood of a combination of orders or just the look of a bar. If you are interested feel free to contact us. Tell us what you want to have. This idea does not have to already perfect. 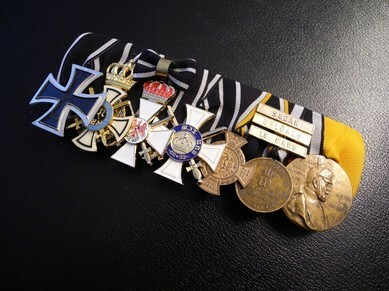 As said before we are looking forward to assist you on the creation of your medal bar. We process replicas as well as original ones. Because oft he combination of replicas and original orders there is a nearly infinite number of bars possible. 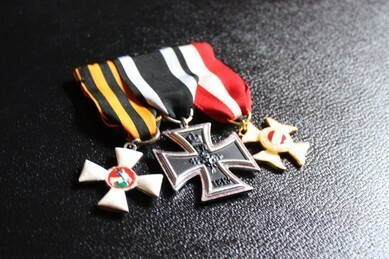 After the creation process you may send us your orders and we will process them to a medal bar. 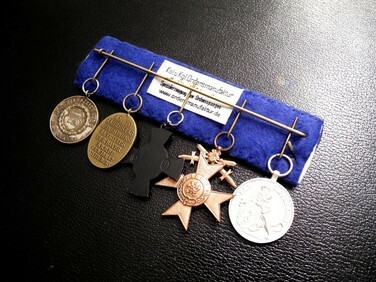 Our medal bars are hand made to your specifications. If you may do not have a special order maybe we can also assist you on that. 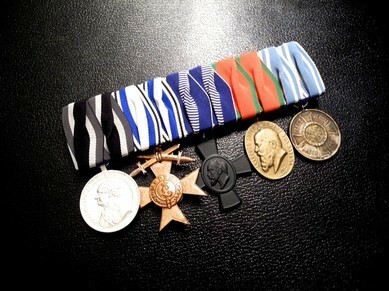 The production of your medal bar takes a week after receiving your orders. If you habe any special wished of which you did not see on our website feel free to ask. 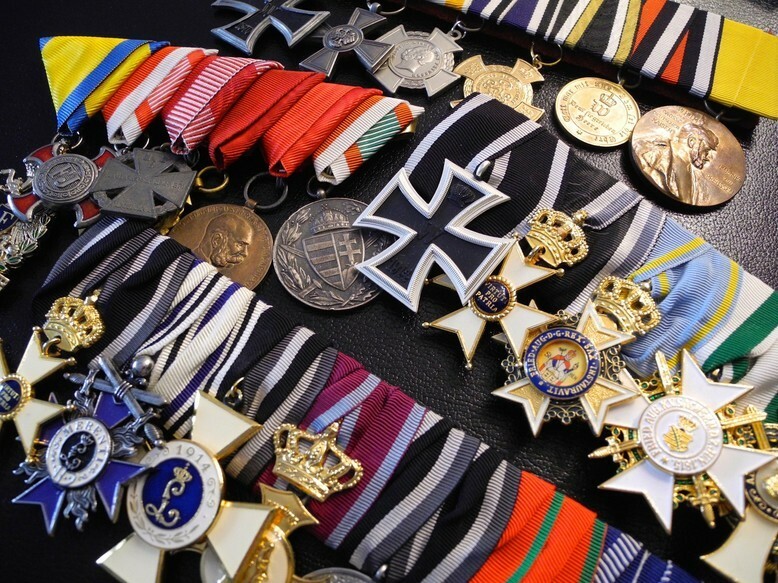 As every bar needs a certain effort and ribbons we can not make a general quotation of prices. The price will be quoted to your special bar. 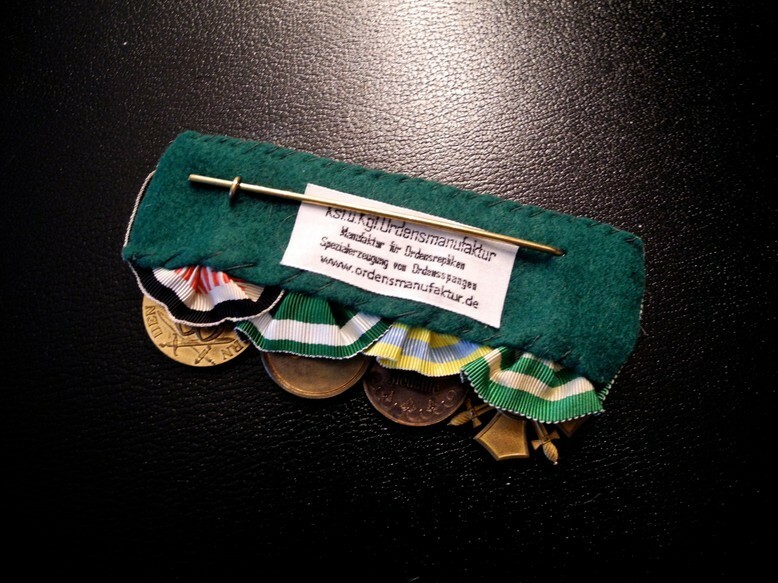 Our medal bars are made in fond handiwork to your specifications. Our special form of adjustment guarantees a stable fixation. We are only working with aluminium frames. The ribbons are all sewed and not glued! The back of the bars has a clasp pin. 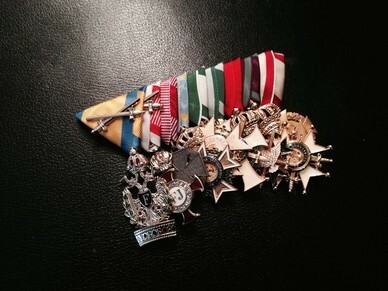 For extra long medal bars we add extra hooks fort he pin. You may also decide what colour the backing should have. 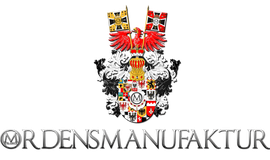 We are sure that our quality is better than the quality of many original bars and are not less good than the ones oft he most important bar producers of their time. Ca. 1850-1900. Northern German nations. Ca. 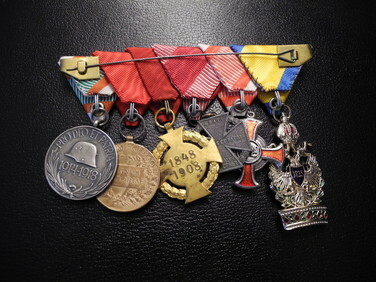 1870-1920. Kingdom of Bavaria.